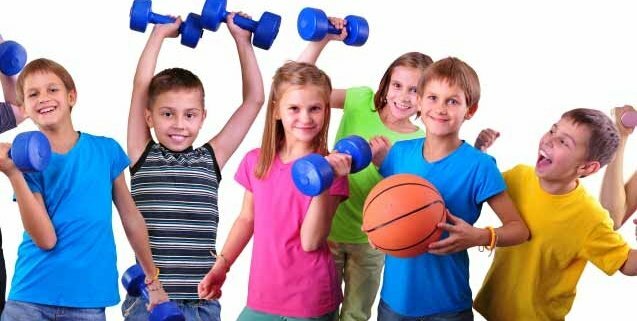 What our children do for their bone health now – like exercising and eating right – can stave off disabling disease later in life. 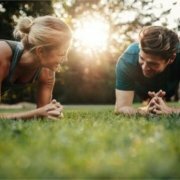 It’s a well-known fact that exercise is one of the healthiest and most beneficial things we can do for our bodies over the course of our entire lifetime. When most people think of the benefits of exercise, weight loss is often the first thing that comes to mind. Regular exercise helps us burn more calories to shed extra weight and prevent obesity, which comes with its own plethora of health problems, such as cardiovascular disease and diabetes. But regular exercise is also crucial to stave off many other health conditions, including one that many people might not be aware of: osteoporosis. With age, the density of our bones can begin to deteriorate, eventually leaving them very weak and fragile. Osteoporosis ultimately “thins” our bones, putting them at high risk for fractures and breakage. 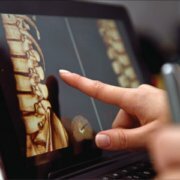 Most young people aren’t actively thinking about weakening bones because the condition typically doesn’t occur until the later years of life (60’s or 70’s). But here’s the catch. Research tells us that preventing this disease actually begins in adolescence. In fact, the bone that’s developed between the ages of 10 and 18 is the bone that must last you the rest of your life. So reaching peak bone density during this time is absolutely essential to protecting ourselves later as adults and seniors. So what can we do for our kids to help them build up the strong bones they need for later in life? The answer lies in exercise and nutrition. 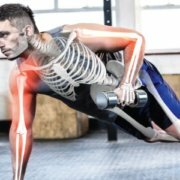 Two exercise types can help build and maintain the health of our bones: weight-bearing and muscle-strengthening exercises. Weight-bearing exercise is anything you do on your feet while working against gravity. By carrying your own body weight, more stress is placed on your bones, causing them to work harder and become stronger. Jogging, tennis, climbing stairs and using an elliptical training machine are all great options. 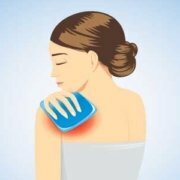 On the other hand, muscle-strengthening exercises are done with an added weight or resistance to make the movements a little bit harder, and these will build stronger muscles as well as bone. Lifting weights is the most popular of these exercises, but using resistance bands or weight machines will provide the same benefit. For teenagers, getting in 30 minutes of weight-bearing exercises at least three to four days a week can yield fantastic results. 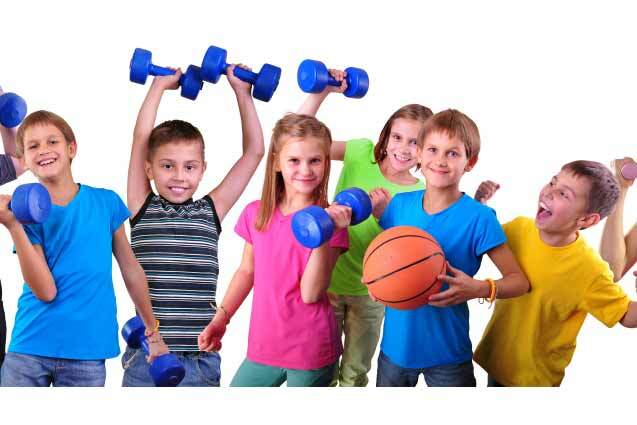 Joining a school sports team or playing on a recreational team with friends is a fun way to get that exercise in, as not all schools have a physical education program that provides the amount of activity really needed to maximize the bone health rewards. Exercise is an integral part of building strong bones, but it goes hand in hand with nutrition. The foods we eat (or don’t eat) have just as much impact on our future bone health as our activity level and can help add to our bone bank for later on. When most people are asked about how they think strong bones are built, the first answer given is usually related to calcium intake. Dairy products like milk, cheese and yogurt, white beans, kale and spinach are excellent sources of calcium. However, while this mineral is essential for the proper development of bones, the body is unable to absorb it without the addition of vitamin D. Many foods today, like cereal and orange juice, come fortified with vitamin D, but shrimp and tuna are excellent sources as well. And let’s not forget sunlight. Just 10 minutes of direct sunlight exposure three times a week provides what the body needs to produce enough vitamin D. Another contributor is vitamin K, which is essential in helping the body build the proteins necessary for healthy bones. Vitamin K also stimulates calcium absorption and reduces its excretion. You can fill up on it with kale, spinach and broccoli. And one thing to reduce is caffeine (especially for young people). It’s not necessary to cut it out altogether, but consuming too much (more than the equivalent of two cups of coffee per day) can interfere with the body’s ability to absorb enough calcium. Exercise and nutrition are important for building strong bones when we’re younger and are essential for maintaining bone strength when we’re older. We only get one set of bones. Understanding this and preparing to keep them healthy in youth is vital to our health in our older years. Parents, you can help your kids get the right nutrition and set an example for them of an active lifestyle to prepare them for a healthy future. The most important thing to remember is that it’s never too late. Making healthy changes today is better than never making them at all. So kick your diet and exercise into gear and look forward to a stronger, healthier you – for you and for the generations coming after you. How Do Broken Bones Heal? What is joint replacement surgery?